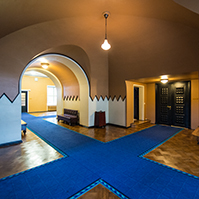 The Riigikogu passed with 86 votes in favour the Act on Export and Import of Cultural Valuables (78 SE), initiated by the Government. The purpose of the Act is to help towards conserving the national cultural heritage by providing the possibility to restrict the export of cultural valuables pursuant to the procedure provided in the Act. This Act provides for the processing of the export permit of cultural valuables, the performance of expert assessment of things or the assignment of a thing or cultural valuable for expertise, the customs formalities upon export of cultural valuables and the responsibility for violation of this Act, as well as the organisation of exercise of state supervision. Also, the cultural valuables which can only be exported to the Member States of the European Union or to the countries outside the European Union with an export permit issued by the National Heritage Board are defined. 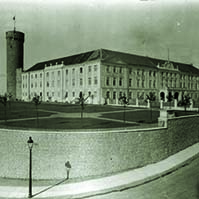 The Act enters into force on the thirtieth day following the date of publication in the Riigi Teataja. 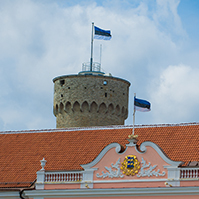 Nobody voted against the Act, 3 members of the Riigikogu abstained. The Precious Metal Articles Act Amendment Act (93 SE), initiated by the Government, was passed with 91 votes in favour. Several minor amendments are made to the Act, which include specification of the scope of application and definitions of the Act, amendment of the requirements for marking of precious metal, supplementing of the provisions concerning state supervision, and specification of the requirements for the information to be entered in the sales documents of precious metal articles. One aspect of the amendments involves a change in the handling of the sponsor’s marks of importers. One amendment provides the requirement for importers to ensure that the products placed on the market bear a sponsor’s mark legally marked in the other Member State. This Act enters into force on 15 April 2008. Nobody voted against the Act and nobody abstained. The Act on Amendments to the Health Care Services Organisation Act and Associated Acts (146 SE), initiated by the Government, was passed with 92 votes in favour. The purpose of the Act is to create legal bases for the implementation of e-health projects and for the establishing of the corresponding health information system. A new chapter is added to the Health Care Services Organisation Act, concerning the health care information system which serves as the basis for the implementation of the projects prepared in the Ministry of Social Affairs: “Digital Health File”, “Digital pictures”, “Digital Waiting List Registration” and “Digital Prescription”. Centralisation of the know-how relating to information systems of the health sector allows to reduce the expenses occurred in the health sector. This Act enters into force on 1 September 2008. 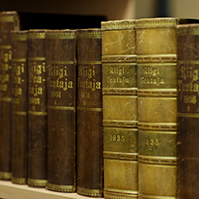 Clause 1 9) and clauses 8 2) and 3) of the Act enter into force ten days after publication in the Riigi Teataja. Nobody voted against the Act and nobody abstained. 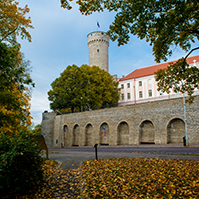 The Alcohol, Tobacco, Fuel and Electricity Excise Duty Act Amendment Act (168 SE), initiated by the Estonian Reform Party Faction, the Pro Patria and Res Publica Union Faction and the Social Democratic Party Faction, was passed with 90 votes in favour. Pursuant to the Act, illicit traffickers will be required to pay excise duty upon apprehension, in addition to confiscation of the goods. At present, apprehension at illicit trafficking is only penalised by confiscation of goods. Pursuant to the amendment, confiscation does not grant exemption from excise duty; goods have to be taxed on an equal basis. This Act enters into force on the day following the day of publication in the Riigi Teataja, however not earlier than on 1 January 2008. Nobody voted against the Act and nobody abstained. 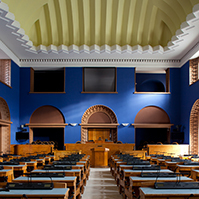 The Persons Repressed by Occupying Powers Act Amendment Act (162 SE), initiated by the Social Democratic Party Faction, the Estonian Reform Party Faction and the Pro Patria Res Publica Union Faction, was passed with 92 votes in favour. The amendments simplify the payment of the health restoration benefit for repressed persons in the amount of 2500 kroons by repealing the requirement of submission of corresponding expense receipts. The rate of 2500 kroons of the health restoration benefit for repressed persons and persons treated as repressed persons is applied as of 1 January 2009. In 2008, the benefit rate is 1000 kroons and an additional benefit is paid to the persons specified in the Act in the amount of up to 1500 kroons on the basis of expense receipts. Nobody voted against the Act and nobody abstained. At the end of the session, Father Christmas entered the chamber of the Riigikogu, who came to bring Christmas greetings and good wishes for the end of the year. Part of the Father Christmas’s speech was addressed to journalists to whom he expressed his joy over the fact that if there was anything to argue and discuss in the Riigikogu, then it was argued and discussed, which is exactly what makes a parliament parliament. Father Christmas mentioned the recent dispute over the office of the Legal Chancellor. “Go ahead, discuss and argue! Do your work just as you have been doing so far, and I think it was a good dispute. It showed that the parliament is able to argue, too,” Father Christmas said. Father Christmas also gave presents to all factions of the Riigikogu. “Dear people, honourable members of the Riigikogu! I want to tell you that, this year, you have had your feathers ruffled by electors and journalists, the President, chancellors and many others, as have all the previous compositions of the Riigikogu. I want to tell you that I am Father Christmas and I wish to all of you good people, to your homes, your families a beautiful and peaceful Christmas time and I am not punishing you or admonishing you or saying any bad words to you. You have been excellent! Continue in the same spirit because now you can do your work in peace at least until the following elections,” was Father Christmas’s greeting.